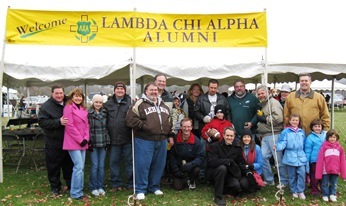 Please join us on November 21 for an alumni tailgate at the Lehigh vs. Lafayette game. All alumni (along with family & friends) are invited to join us at Goodman Stadium at Lehigh for light food and beverages. A contribution of $15 per adult (13 & over) is recommended. Checks should be made payable to BGPZ, Inc. Please send your registration and payment to Walt Keiper ’85 by November 16. Any late registrations can be e-mailed to [email protected] and payment can be made the day of the event. Download the REGISTRATION FORM. Sign in and let us know on our DISCUSSION BOARD if you're coming back for the tailgate!